MQA Master Streaming On Tidal Rules! On the First day of CES, Jan 5th, the audiophile universe changed, radically, for the better. 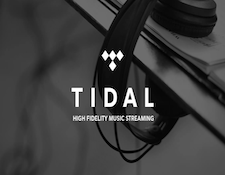 This was the day that Tidal rolled out the first 200 MQA Mastered releases for high-resolution streaming. I spent most of that day setting up and then listening to the new material on three different set-ups at home while most of my journalistic compatriots were sprinting around CES, hearing about, but not actually trying out, the new world of high-rez streaming. What is MQA Master streaming? In short, MQA is a method where high-resolution information is folded into the noise floor of a 44.1/16 file that can then be unfolded by an MQA-compatible DAC into full high-resolution. The MQA files are FLAC files that are slightly smaller than a 44.1/16 WAV file yet have all information contained in a 192/24 (or even 384.32 file) when decoded. While MQA isn't new (it's been available on some DACs, such as the Mytek Brooklyn for over six months), it had faced serious resistance from those DAC manufacturers who did not want to incorporate MQA decoding in their DACS. MQA's solution is both elegant and simple - the latest version of Tidal software for the Mac and PC have MQA decoding built-in! Once properly set-up (we'll get into that later) MQA Master files can be sent at either 88.2/24 or 96/24 (depending on the file itself) to any DAC that supports those bit rates. Does this make it unnecessary to own a DAC with built-in MQA decoding? Not quite. With an MQA-compatible DAC MQA files can be decoded at their maximum rate, which depending on the file could be as high as 384/32! So, without an MQA-compatible DAC the best you can get is 96/24, which is pretty darned good, but with an MQA DAC you get the maximum rate that a file can deliver. I have been listening to MQA files since I received and reviewed the Mytek Brooklyn for The Absolute Sound. During that time I became convinced that MQA encoded and decoded files sounded at least as good as the original files (and occasionally on some files sounded even better than the originals.) I have been eagerly awaiting the advent of MQA streaming for everyone. Now it is here. The next question is "What do you need to do to get Tidal MQA Masters to play through your system? First you need the latest version of the Tidal App. You will know if you have this version two ways - upon first boot-up the app will give you a screen that tells you MQA master files are now available. The next thing that will be different is that under the "New Albums" section you will see a new category - "Masters" just to the right of the "Top 20" selection. Now that you know you have the latest version of the Tidal App you need to make some changes in the Settings section. Go to Settings. Select "Streaming" Make sure the HiFi/Master box is checked (unless you are a HiFi subscriber you will not have that option). Next, go to the DACs section, select your DAC and then click on the gear icon next to your DAC's name. This will put you in a second selection box where you can turn on "Use Exclusive Mode." The final box to check or not check is the "Passthrough MQA." When it is clicked and turns blue you are sending an unconverted MQA stream to your MQA-compatible DAC. When it is unchecked then the Tidal App will do the MQA conversion and send either an 88.1/24 or 96/24 stream to your non-MQA DAC. So far I have tried the new MQA streaming with several non-MQA DACs including the PS Audio DSD Jr, and NuForce uDAC-5. Both of these DACs had no issues with the already-converted MQA files and played them back at either 88.1 or 96 with no glitches, studders, or awkward silences. Roon users will be happy to learn that once you have set up your Tidal app for MQA streaming Roon will also play any MQA Master files from Tidal at the same resolution as your Tidal app did. Did I discover any issues? Yes. If you own a Mytek Brooklyn you will discover that it will not play back the first track of an MQA file correctly unless you download the very latest firmware - it will not trigger the MQA light or show the proper resolution. The current fix if you haven't or can't upload the latest firmware 2.21 is simple - play the last few seconds of the first track and let it go to the second track. The Brooklyn will then switch into MQA mode. You can then go back and play the first track with no issues, and the DAC will stay in MQA mode until you play a non-MQA file. But obviously updating the firmware via Mytek's control panel app is easiest. There you have it, so far. I'm still waiting for updates to the Tidal app on my MQA-compatible portable devices, Android portable devices, and "closed" players with Tidal Apps, such as the Astell&Kern AK70, but I have no doubt they will roll out soon. Happy listening! And by the way, the new MQA master files of Led Zep's first album are fantastic!